After the release of The Division's new 1.1 update this week, some playersdiscovered that their characters had gone missing, which is a big deal. Now, Ubisoft has confirmed that it's identified the cause of this problem and said a fix is coming soon to restore missing characters. E-gameshow will take place in Ankara at ATO Congresium between June 2-5, 2016. It is a leading event of Turkey with high demand of participation. Overwatch developer Blizzard Entertainment has released this year's details for its annual gaming convention, BlizzCon. You can attend the November convention by purchasing tickets on either April 20 or April 23. 13-year Bungie veteran CJ Cowan, who most recently worked on Destiny as its story creative lead, has exited the studio. He announced his departure on his social network channels, saying, "After 13 years, I decided to part ways with Bungie." He did not say why he's leaving or what he plans to do next. Quantum Break preview – A Bold Modern World! After a successful Kickstarter campaign, years of development, a few prototypes, and a multi-billion-dollar investment from Facebook, the first commercial virtual reality headset from Oculus VR officially launches today. click on read more to get more informations. Have you ever paid attention to video game characters' words? Undoubtedly many of gamers are interested in the script of their favorite games. Now it's time to become familiar with the writing of these characters. In this new item produced by the Iranian group called the White Winter, your prodigal video game characters will be interviewed. The latest Street Fighter 5 update will go live today on Playstation 4 and PC following a seven-hour maintenance period. please click on read more for more informations. Happy Norooz! Although it is late, but we hope that this little gift will compensate for the delay! Download the newly released issue of Gamefa's Digital Magazine for free and try us to raise our budget for future productions. 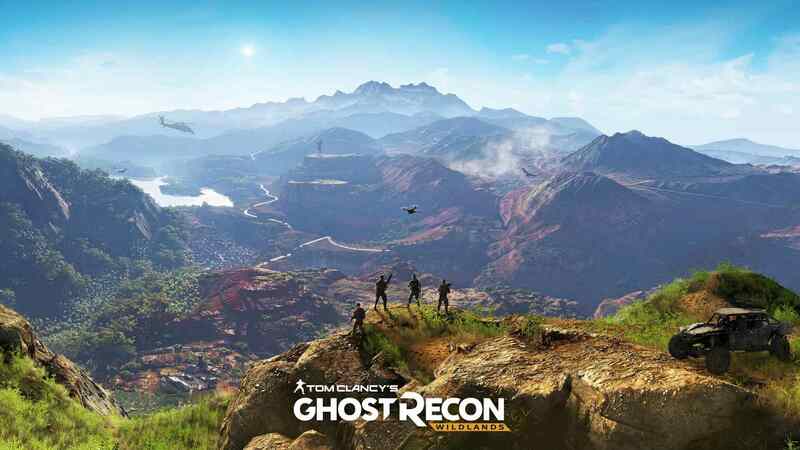 Ubisoft's branch in Singapore that is known for its work on Assassin’s Creed 3 and Ghost Recon: Phantoms has recently revealed its involvement in one of the biggest upcoming projects at Ubisoft for consoles and PC. Read more at Gamefa from below. Does hitting The Division’s level cap feel like a grind? The PlayStation VR headset runs on the PlayStation 4, but it also requires a Wii-sized processing unit, which is included with every device. To date, Sony hasn't said much about what it does--but that changed today at the Game Developers Conference, as Sony senior staff engineer Chris Norden shared some info. New DLC For LittleBigPlanet 3 Brings you Venom Snake! Enter your Username or your e-mail address to during to recovery password process.